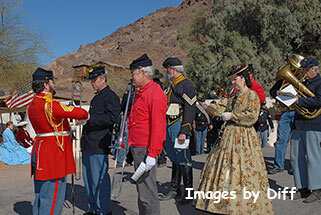 click photo to enlarge Every year on Presidents Day weekend the ghost town of Calico has a civil war enactment. There are hundreds of people all in period dress. Men, women and children all doing what they love to do. Whether that be camping, playing army or just dressing up in period costumes. 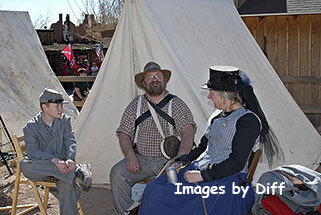 click photo to enlarge The costumes are all authentic too. 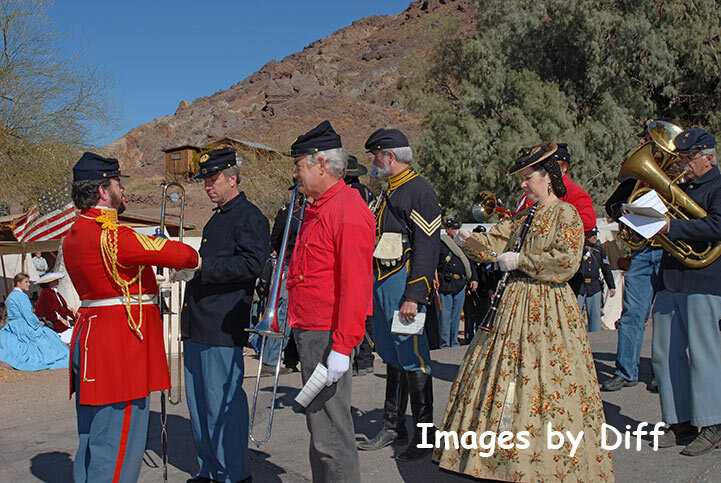 It just shows there is obviously a market for people to make and sell old woolen civil war clothes. 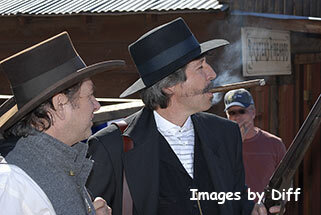 click photo to enlarge I suspect this character was supposed to be a famous outlaw or gambler but I'm not sure who. click photo to enlarge President Lincoln addressed the troops daily. The people who do this love it so much they grow beards etc to match the part. 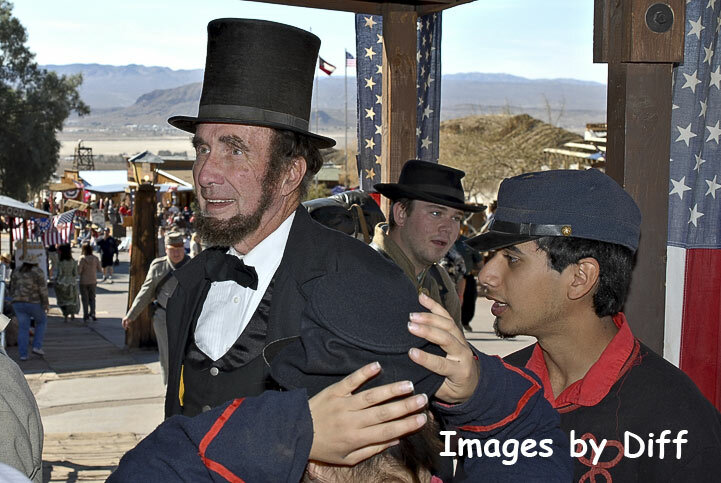 So in his everyday life he still looks like Lincoln just minus the clothes and top hat. click photo to enlarge There were all kinds of jobs that needed to be done. 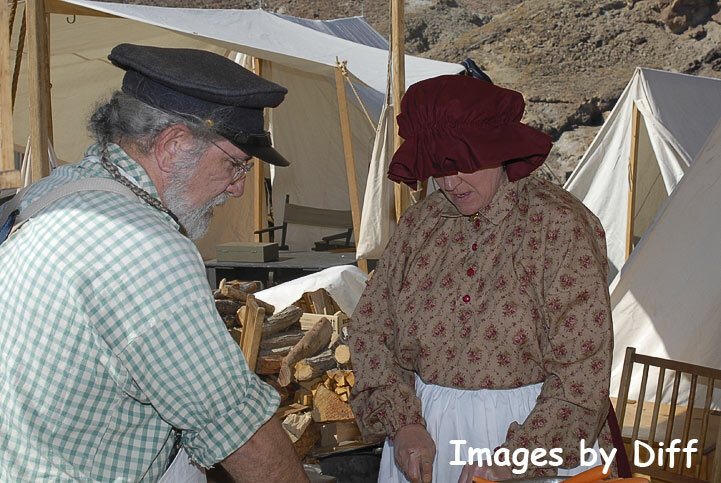 This couple was preparing food for their group and they were preparing a very large portion of it. 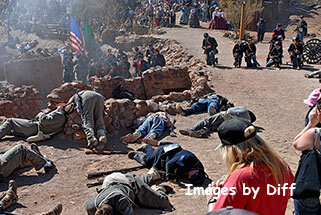 And of course there are battles staged a couple times every day. I overheard one group earlier in the day discussing how this event was their big chance to sell some of their goods to help offset their costs of not only their costumes but the black powder they shoot. You see, each time they shoot off a cannon it costs them about $3.00. Before this battle a person got on the microphone and was talking to the crowd. He was providing some history of he war that you never got in school. I highly recommend this. But get there early in the day so you can find a place to park and not have a long line to wait in.